Helicopter had difficulties on take-off and it appears that a crew member jumped from the aircraft prior to it impacting the ground, but was hit by the rotor blades and died – named as Vikram Lamba. Helicopter had its skids ripped off and all four main blades ended up much shorter than they should have been. Photos show the helicopter close to a rocky outcrop and the could possibly have impacted the rock, although unclear either whether that had actually happened, or whether it was cause or effect in the whole scenario. Pilot Sanjay Wasi and co-pilot Alka Shukla suffered minor injury. Passengers Naveen Bhai, Leela Ben, Harish Bhai and Ramesh Bhai were not seriously injured. The police report of the accident says there were strong winds and the bad weather. Date was recorded as 04-Jun-17 when helicopter wreckage was found, but as reports state the pilot’s family were looking “in the middle of the night” for him, and he was last seen on 03-Jun-17, we believe the accident date would most likely have been 03-Jun-17. NTSB also tweeted on 4th June that they were attending “investigating yesterday’s crash of a Robinson R-44 helicopter in Dimmit, TX”. No details of the situation have been reported, bar that it was working low level checking on cattle. The accident killed 68-year old Don Oppliger – whos company owns ranches and farms in Texas, New Mexico and Nebraska to support the feeding of 230,000 cattle in six large feedlots. More than 90,000 acres of the roughly 150,000 acres held by the company are in Nebraska, including properties near Paxton, Wallace, Atkinson, Tryon and Johnstown. Crashed after hitting high voltage wires shortly after take-off (one report says three minutes after take off). All 13 POB deceased. DHA news agency is reported as saying the helicopter was carrying a delegation, headed by a major-general, which was inspecting the Senoba region. Helicopter crashed in open farmland on a night reconnaissance mission, killing three POB. Post crash fire. Reported location is right by significant amounts of high voltage lines converging on a power station site, and the Algerian Navy later confirmed (below) that the helicopter hit powerlines. The official statement in the news section of the Algerian Navy website shows an AW101 and official naval photos of three men in their uniforms, thus confirming 3 fatalities and not 5 as reported in some sources. The statement reads as follows – During a night training patrol on the Blida-Tipaza axis, a rescue helicopter belonging to the Naval Forces was crashed on Sunday the 21st of May 2017, at 9.40 pm after having struck high-voltage power lines near the commune of Hamr El Ain, in the Wilaya of Tipaza, causing the death of the members of its crew, composed of three officers. In this painful circumstance, Major General HAOULI Mohamed Larbi Commandant of the Naval Forces sends his heartfelt condolences to the victims’ families and assures them of his deep compassion and support in the aftermath of this tragic accident. two farmers and their sons were returning home from the Nampo Harvest Day on Bothaville in the Free State when the accident occurred. One farmer, Douw Wentzel Snr, and the other farmer’s son Andre Deale suffered fatal injuries. Fatality named as 49-year-old Tomohiro Ito, a banker from Yokohama. Crashed and burnt out killing both on board, after reportedly hitting the cables of a material cableway. According to a report in the Tyrolean edition of the “Kronen Zeitung”, Peter H. (55) from Tulfes and Richard G. (52) from Hall. The helicopter was taking part in a disaster rescue operation training course involving 60 soldiers from the 2nd Infantry Division and 12 policemen from Calabarzon in Region-4 with Camp Capinpin as venue. A bird is reported to have hit the tail rotor shortly after take-off. While the pilot was trying to make an emergency landing, the helicopter hit power lines, crashed and caught fire. The helicopter was ferrying pilgrims to the Vaishno Devi temple. The seven fatalities were named as pilot Sumita Vijayn from Kerala, Arjun Singh, Mahesh and Vandana from Jammu, Sachin, Akshita (5) and Aaryanjeet from Delhi. US Army Apache crashed after hitting wires on a routine training mission, killing both on board. Post crash fire. Debris scattered across a road 500m from nearest houses. The authorities reported wire among the wreckage and the upper part of a nearby high-voltage tower was damaged. 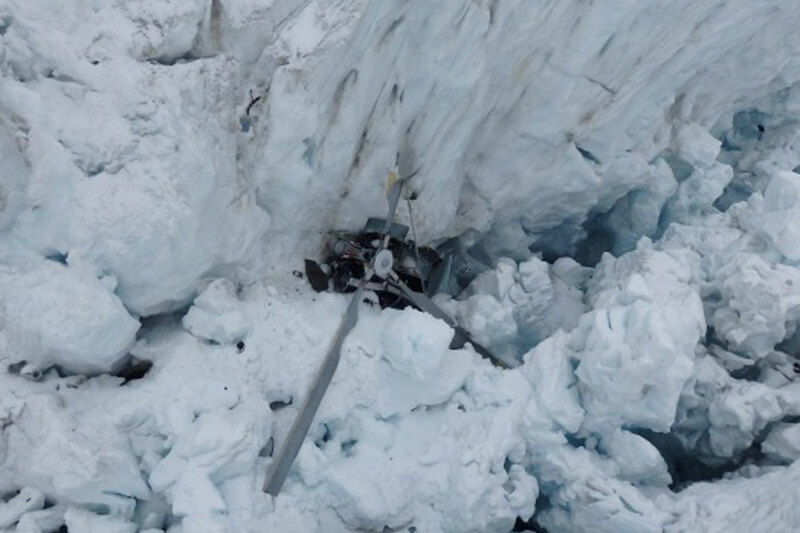 Crashed on a glacier and fell down a crevasse, killing pilot Mitch Gameren, two Australian tourists Sovannmony Leang and Josephine Gibson and four British tourists Nigel Charlton and his wife Cynthia, Andrew Virco and his partner Katharine Walker, head of radiotherapy at a major trauma centre. It is of particular note that the two visible main blades in most photos (example) are near intact. Both occupants suffered fatal injuries – named as 65-year-old pilot Bruce Allen Erickson (chairman of American Bank – Montana) and 60- year-old passenger Wayne Frank Lewis, his real estate agent. Just moments before spinning out of control, the pilot is reported as saying to ATC that the ground handler(s) had not chocked the wheeled landing trolley, and thus the downdraft made it a moving target, and could have been contributory to the accident. Crashed in remote area killing all three on board – owner Richard Green, his wife Carolyn and their travelling companion, John Davis, a renowned documentary film-maker. Mr Green used his helicopter as a “flying camper van” and frequently went to obscure locations – and this meant that a search party was not launched for over 36 hours after the accident occurred. Crashed into sea on night training flight. 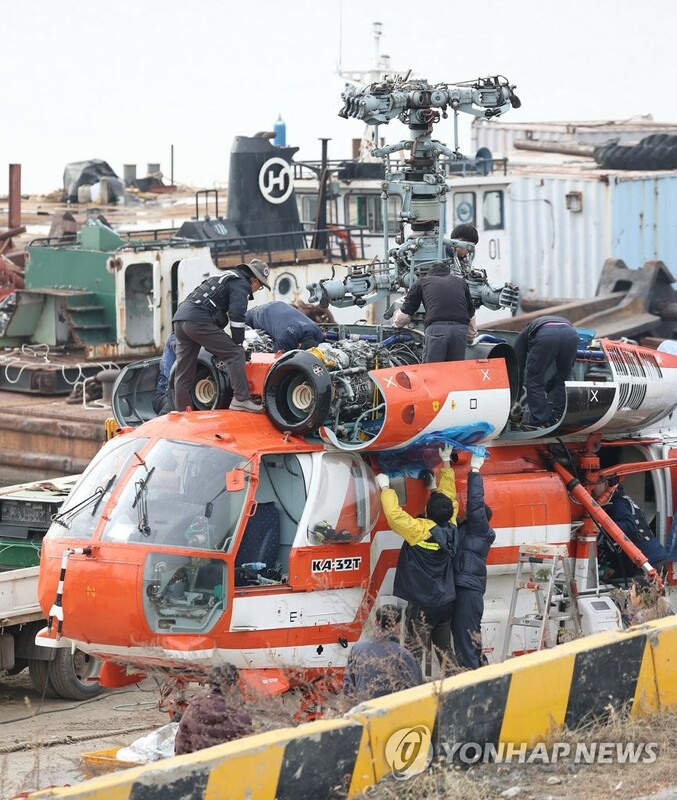 Helicopter was operating a training flight for night recency and took-off from rig “WIS”. While landing at “RONTAP MEYER” it met with an accident. After impact ELT was triggered. Cockpit door found at the last known position during SAR. We are seeing many reports in the Italian media of an AW609 accident with two fatalities – named here as Pietro Venanzi and Herbert Moran. “on fire in flight between Santhià and Tronzano, the province of Vercelli” seems to be the common link description at this time. A 55-year-old male pilot from Campbell River, B.C., and a 35-year-old male passenger from Prince Albert, Sask., were the only 2 POB when it crashed. They were pronounced dead at the scene. Helicopter was contracted by electric utility SaskPower to access and repair power poles and struck a powerline causing the aircraft to crash. Post crash fire completely consumed the aircraft. Helicopter was involved in installing an antenna, when it crashed and completely burnt out. Most reports say it hit a pole, but not clear if that was before or after it “experienced difficulties”. All five on board died, identified here as Miguel Angel Pinto Panta (pilot), Felix Cardenas Gonzales (airline mechanic), Juan Carlos Lezama Mucching (mechanical Los Andes), Luis Garcia Villanueva Hoses and Nolberto Retarnozo (Odebrecht workers). helicopter went down in the Chinese city of Chongqing on Sunday, killing all four on board, including two cameramen Jiang Ya and Song Hao’en from Chongqing Broadcasting Group, a local satellite TV station. Helicopter crashed into trees, dropping vertically nose-first between the trees down to the ground, killing both on board – named as 24-year-old Jeremie Belanger and 41-year-old Ken Mielke – both were pilots were pilots for Apex Helicopters, which was performing aerial spraying for a forestry company in the area. Few details available, but helicopter crashed into the sea killing one and seriously injuring another.